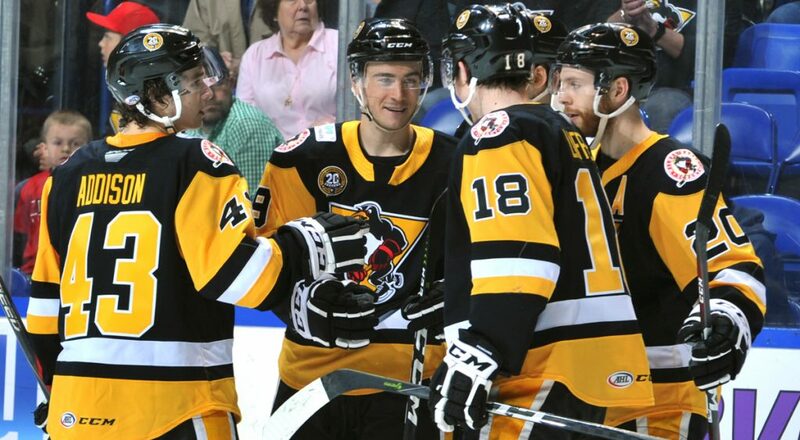 WILKES-BARRE, Pa. – The Wilkes-Barre/Scranton Penguins kicked off their 20th season celebration with a bang, defeating the Springfield Thunderbirds, 3-2, in a shootout at Mohegan Sun Arena at Casey Plaza on Saturday night. 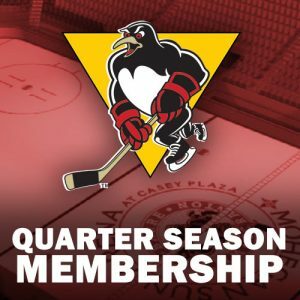 Goalie Anthony Peters was lights out throughout overtime and the shootout, and Zach Aston-Reese tallied the only goal of the shootout to the delight of the home crowd as the Penguins started the season 1-0-0-0. 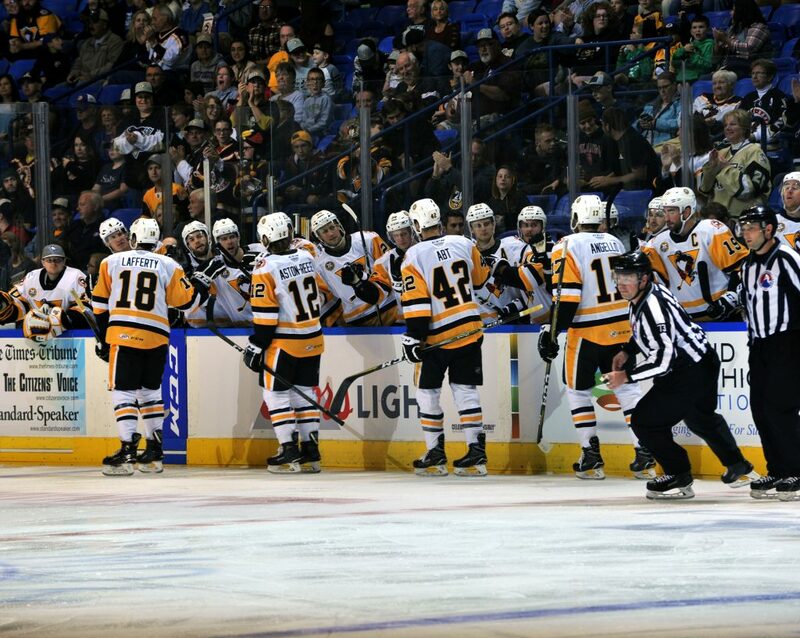 Things got off to a rocky start when former Penguin Paul Thompson scored 36 seconds into the game. 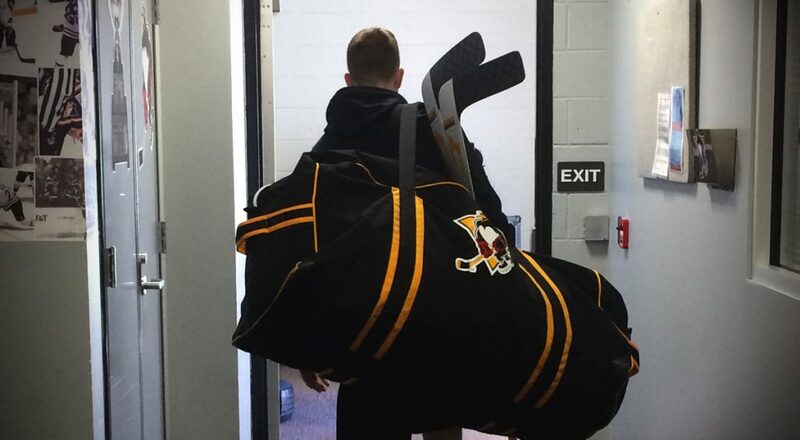 However, Wilkes-Barre/Scranton swiftly responded in less than two minutes as Ethan Prow’s wrist shot off of a face-off win beat Michael Hutchinson, tying the game, 1-1. Aston-Reese put the Penguins ahead, 2-1, on a toe-drag move around a fallen defenseman at 8:37 of the first period. The game turned into a slugfest after Aston-Reese’s go-ahead goal. No penalties had been assessed to either side through the first nine minutes of the contest, but the two clubs combined for 46 penalty minutes in the latter half of the opening period. 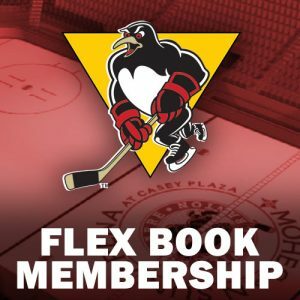 Thompson tacked on his second goal of the night by smacking the puck out of midair during a Springfield power play, tying the game at 11:49 of the middle frame. Tempers calmed in the third period, which was a back and forth affair with Peters and Michael Hutchinson trading stellar saves at both ends of the ice to keep their teams in it. 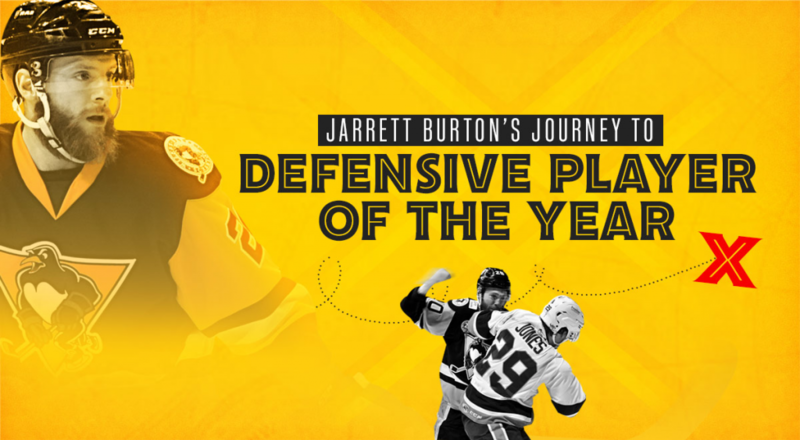 Eventually, the game went to overtime, and Peters and Hutchinson continued to make dazzling saves. In the shootout, Peters denied all three of the Springfield shooters he faced, while Aston-Reese’s sly five-hole shot in the first round was the only tally on either side. Peters finished the game having made 30 saves on 32 shots faced in regulation and overtime. Hutchinson turned aside 44 shots through 65 minutes while being handed the loss. 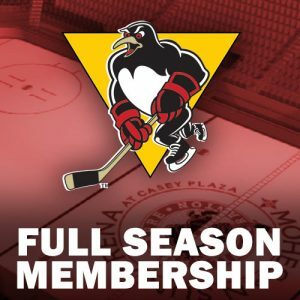 Wilkes-Barre/Scranton treks to Ohio for its next game, as the Penguins take on the Cleveland Monsters on Thursday, Oct. 12 at 7:00 p.m. The Penguins’ next home contest is Wednesday, Oct. 17 against the Hershey Bears.